There are many that ask questions about our farm and since we practice transparency in how we grow your food and ours, here are some answers to commonly asked questions. 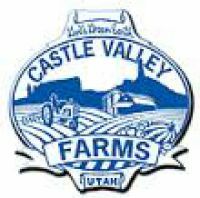 Is Castle Valley Farms organic? We have outdoor land and greenhouses that are certified organic through CCOF (California Certified Organic Farmers). Being chemical free is extremely important to us. As far as human food crops are concerned as of 2/15/17 only the tree fruit and asparagus are not certified organic though have been chemical free. Is organic produce always superior? Chemical free is always superior to pesticide laden. But there are many biological, non-organic growers producing the highest nutritional produce and have no need of spraying. Why is this? Producing organically is a certified process that it is free of manmade substances and genetic modification. Certified organic certifies that process not a certified nutritional outcome. The nutritional outcome is not measured. In many cases non-organic produce can be superior when it comes to nutrient density, taste and aroma, texture, storageability, and the plant's immunity to bugs/mites and diseases. This all sums up as nourishment. The more complete and balanced a plant is in its diet, the more nutritionally sound it is for us. Organic dairies, as many conventional dairies, can many times have extremely unhealthy animals because the soil nutrition is imbalanced, particularly when too much manure is reapplied to soils. Many organic vegetable farms have the same problem. Fix the mineral imbalances and vet bills drop substantially. The organic process will not provide a full nutritional outcome because that is not what it is measuring. We feel that it is not enough to be certified organic but to produce true nutrient density in a rational approach and in this way it glorifies God best. On the uncertified "conventional" land, does Castle Valley Farms use chemicals? We are in the process of becoming chemical free across the entire farm, in addition to our certified organic land, as of last the fall of 2014. Lets face it. The chemicals and their breakdown chemical products are really unknowns as to what harm they do to us, soil microbiology that feeds and releases the plant nutrients, other life, and even the plants they are "protecting". It is becoming a well known fact that glyphosate, the active ingredient in RoundUp, binds many cations, primarily manganese and calcium, creating plants much more susceptible to pathogens. At the least a yield drag. A fairly resistant plant host can become a prime candidate for infection and this is simply due to a mineral tie up. A conventional farm field many times will not visibly show a manganese deficiency in soybeans until glyphosate is applied. Glyphosate locks up the manganese and the plant then shows a deficiency and is much more susceptible to problem-causing organisms. Dr. Huber's, Emeritus Professor of Purdue University, speaks on the research and others proves this without a doubt and this is why many soybean growers followup later with a manganese spray to the leaves. This is one example. Why focus on nutrition and not just be happy being organic? The soil of Castle Valley Farms feeds both you and us. Let's just face it. We want to circumvent health care costs, not create them and mineral nutrition in our food supply is far from ideal. As Christians, we value your well-being but we also value the well-being of the families associated on DayStar Adventist Academy's campus very much. We are all made in God's image and because of that, we require the most complete nutrition possible. If one doesn't measure what is excessive or deficient in the soil, then how will you know? Certified organic would only get us to the point of chemical free and GMO free which is not good enough when it comes to long term health. Rational agriculture is what we endeavor to practice. So, do you soil test to know what needs to be added or are you guessing? The best research on soil testing, in our opinion, was done by Dr. William A. Albrecht earlier last century. It is this soil testing and recommendation method we follow. If a compost will fix those nutrient imbalances we'll use a compost. If it won't, then we add mineral ingredients to suppliment or the appropriate seed meal (not cotton seed meal) so we don't overload one nutrient to supply another. In time we are looking to fix all nutrient imbalances across our farm, but for now, it is most economical to fix all the acres growing the food for people. The Seventh-day Adventist Church has a health message and we would like to start that health system in the soil so we have the best chance of expressing the capacity God has given each of us. Do you use synthetic fertilizers? We are only allowed to use nitrogen harvested from the air on our non-organic land so this is what we practice. Plants express their genetic potential with the right temperature, nutrition, water, air, and soil microbes. We use nutrients that are harvested both from the mineral reserves in the earth's crust as well as the air but always creating a comfortable, airy home and all nutrients for soil microbes and plant roots. The goal is a soil that is 45% minerals, 25% air, 25% water, 5% humus (carbon with long term stability). Proper soil chemistry plays the largest role in creating this ideal environment, not adding biology into inhospitable soils. No element can be created or destroyed. This is a simple principle. Either it can be harvested from the air, out of a mine, perhaps from water, or from animal or crop wastes, or tiny amounts from dust. The philosophy at Castle Valley Farms is simple. If the soil needs a nutrient, we add the nutrient in the best form possible for that situation. If the soil does not need a nutrient, we avoid adding it even if that product is "all natural" and "works in other places". There is no one size fits all approach to soils. It is all based on a soil test to build the nutrient reserves properly, economically and safely and allow the biology to function at its prime. Reading between the lines of what I said, really there is no synthetic fertilizer because nothing is created or destroyed by man. We can't manufacture elements. It has to do with whether a nutrient comes from the air or not. The short story we use the Kinsey-Albrecht system on our organic growing areas and non-organic fields. We get our organic amendments approved for use on our certified organic fields (through CCOF) and use rational fertility management on the other fields. So are you soil testing? We are soil testing and amending to avoid nutrient deficiencies and excesses based on the Kinsey-Albrecht method. Neal Kinsey works with growers in 65+ countries on just about every type of crop and is the only person I know actually using the tried and true Albrecht methods. All crops need the same soil fertility and we believe you'll enjoy the taste and what it can do for your health. From the soil test we have a clear roadmap of what to add, and more importantly what not to add, to the soil food web. Most growers either don't bother consistently reassessing their road map or don't bother at all. You can't manage what you don't measure. What method of soil management will you use? First and foremost we will avoid inverting and excessively disturbing the soil. This really harms the soil fungi. Secondly we will make sure that the nutrients are present that will optimize soil life and optimize the soil's physical characteristics (Calcium of 60-68% saturation, Magnesium of 12-20%, Potassium of 7.5% and Sodium at 1-2%). The Kinsey-Albrecht model is the one model that stands out as being extremely repeatable at producing high crop yields, high quality and great animal health. Why? Because that is how the tests are run and the recommendations are given. If you farm, try it. You won't be competing with us but further verifying what other growers are experiencing. Even still, there is much to learn and certain plant and human nutrients like silicon, nickel, chromium, vanadium, selenium, iodine, and more have yet to be understood how to test and recommend. Ok, ok what ingredients do you see you need to use at Castle Valley Farms on your organic soils? Nitrogen and Phosphate and some Potassium - 7-1-1 Soil Start from Converted Organics, organic alfalfa meal, wheat meal grown and ground on the farm. Potassium Sulfate 0-0-50-17S - Naturally produced in the Great Salt Lake. A very practical, organic way of supplying simple potassium and sulfur. Sul-Po-Mag 0-0-22-22S-11Mg - a very good source of both potassium, magnesium, and sulfur. We will use when the soil test calls for it. So far it appears magnesium is not needed. Sea-Crop - a source of ocean minerals without the sodium and chloride. Great product. Granubor 2 (Sodium tetraborate) - your teeth, bones, parathyroid require this nutrient. Have hormone issues? Check boron levels. Have joint or arthritis problems? Boron is deficient on 90%+ soil tests I've done recommendations for. Our plants need boron to fill out properly, sweeten up, and prevent fungal issues, move calcium, pollinate correctly . . .
Zinc Sulfate - Our farm's soil is like this whole region, quite zinc deficient. We have both an approved organic zinc sulfate we use for organic land that costs far too much and a non-organic source for conventional soil. Checking heavy metal levels, they are probably both originating from the same source, just different labels. Copper Sulfate - Very important to prevent fungal diseases and to help you make hemoglobin. Farm animals and humans have seen a precipitous decline in copper levels in food since the imbalanced use of nitrogen began. Hardly any farmers actually add it back to their soils but our food supply has dropped to 75% in copper from what it averaged before World War II. Look at the yields we are now removing per acre and it is no wonder many soils need copper. Copper is really needed in the small fruits to build strong berries. Sodium Molybdate - Our soils need molybdenum so that nitrates in the plant (whether they come from organic nitrogen or air-derived nitrogen) begin forming protein. Nitrates can be very high in either organic or non-organic soils when molybdenum is lacking and cattle can die. In addition to how molybdenum helps plants, it helps soil nitrogen fixing bacteria make more nitrogen for the plant. Cobalt Sulfate - Cobalt is extremely helpful for animals/humans with gut diseases and extremely beneficial for soil organisms to both make nitrogen and grow in number. Cobalt is highly researched in Australia/New Zealand, but hardly ever considered here in the US. Our soil levels on our farm are starting about 0.10 ppm and we need to get them to 1-3ppm over time. It will also help our produce store better. Did you know cobalt is the center of vitamin B12, one great energy conducting molecule! Compost (low calcium and sodium) - we will use compost if it is the right tool to fix our soils. Since a low calcium and sodium source doesn't exist, we are not at the point to use it as our water supplies quite a bit. Some people use compost to add in soil life, but I will tell you that humates and complete mineral balance create plants that exude huge amounts and complex root exudates feeding soil biology. We do add in mycorrhizae as that group of fungi is most likely missing. Otherwise, we may just seed in some of the biology with compost tea, fix nutrient imbalances preventing biology from thriving naturally, and let the extra plant root exudates feed soil life and build our soil humus percents. Azomite - a mined silicon + rare earth mineral product. Very safe and very organic. We will use it to help keep phosphate from tying up due to our water quality and add many trace elements. Azomite is very transparent about heavy metals and the plant responses can be great. We use it to in a shotgun approach. Kelp Meal - another trace element package that we can economically afford only on small acreage, edible crops. Really, foliar sprays of kelp is more economical than the meal itself. Other Rational Products - If a product is brought to our attentional that makes sense nutritionally and economically, if heavy metals are low, if contaminant risk is non-existent, we will use our minds the Lord instilled in us and choose to use it or not to use it. Ammonium Sulfate - a very biologically friendly nitrogen and sulfur source. MonoAmmonium Phosphate 11-52-0 (MAP) (low cadmium source from Rock Springs, WY) - lets face it, many organic phosphates carry huge amounts of calcium, something our soil doesn't need at all as it makes iron that much less available. Many organic sources are high in cadmium also or carry additional nutrients that are simply unneeded and take us and our produce away from balance. Many of the best biological growers use nitrogen from the air and the phosphate mined from the ground which is what MAP is. This product contains both and our source from Rock Springs, WY is under 1 ppm cadmium. We are honest and open about our farm. We do not practice a shotgun, hope-it-works approach to your food quality, yet realize we are in a process of building up our soil nutrition and fertility. We prefer optimizing nutrition while being chemical and GMO free. If this write-up still leaves you with questions or concerns, feel free to write us at sales@castlevalleyfarms.com or call us at 435-259-8099. Please ask for Shawn, the farm manager.